Looking for something literary to do on Wednesday evenings (if you’re in the Philadelphia area)? 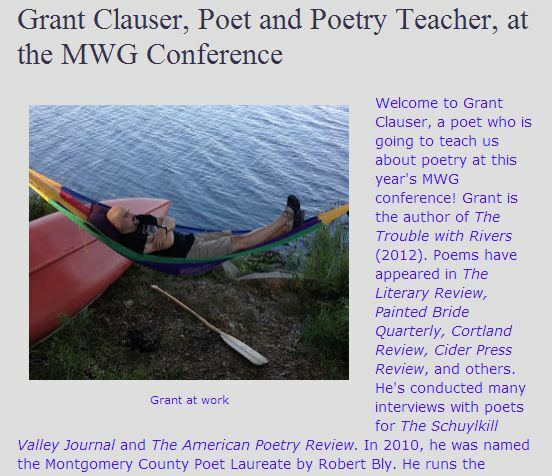 I’ll be leading a new poetry workshop at the Musehouse Writing Center in Chestnut Hill (down the street from the Chestnut Hill Hotel). This workshop will be for beginner to intermediate poets. Honestly, I don’t know what that means, as I think we’re all a still beginner poets each time we sit down to write, but at least don’t show up planning to get into pedagogical arguments. It’s a six-week class meeting every Wednesday 7-8:30 beginning Dec. 7th. There’s a cost for this workshop, but right now I don’t know what it is. I think it’s $120. When I find out I’ll post it here. 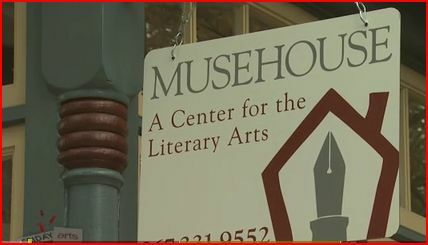 If you want to learn more about the Musehouse Center and its events, go here. In this session we’ll discuss what makes poems work and where good ideas go off course and where to take risks. Elements including image, sound, line breaks and form will all be addressed. Participants will discuss poetry craft, practice writing prompts and explore techniques for discovering poems in everyday life. A wide variety of poems and poets will be read, and students will write, share and discuss their own poems in class.